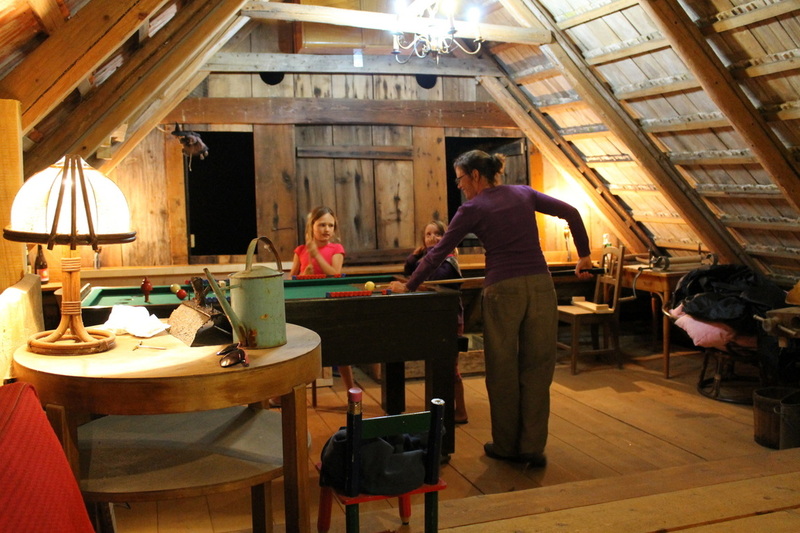 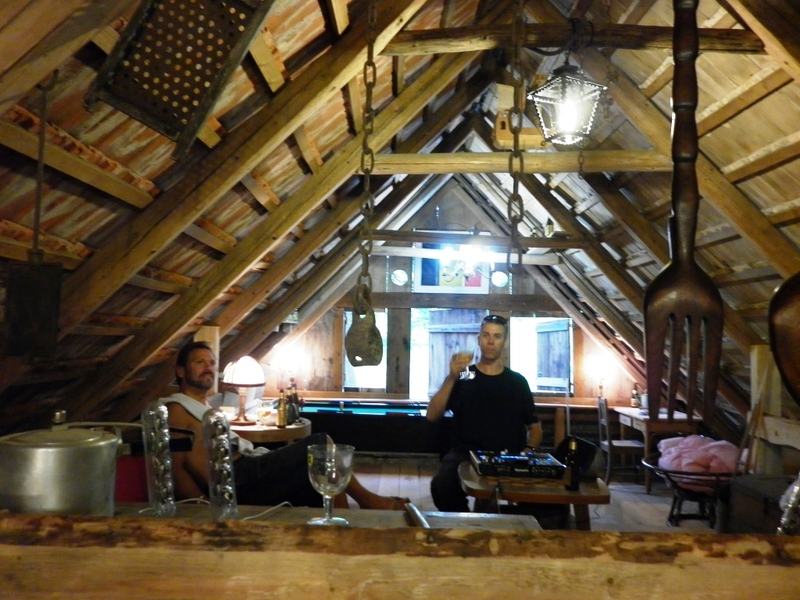 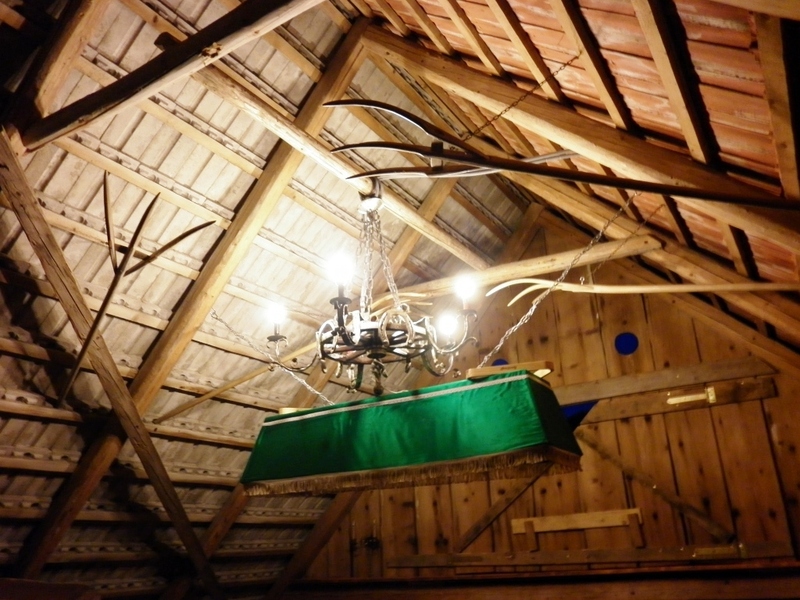 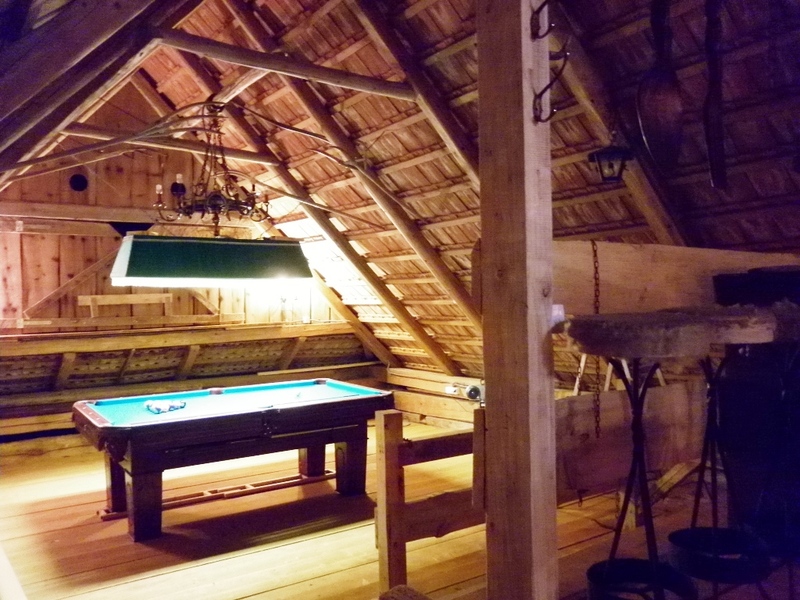 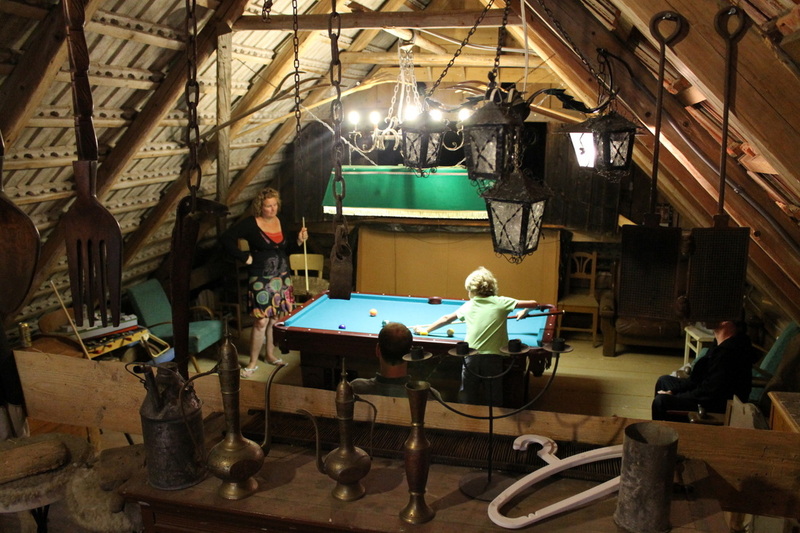 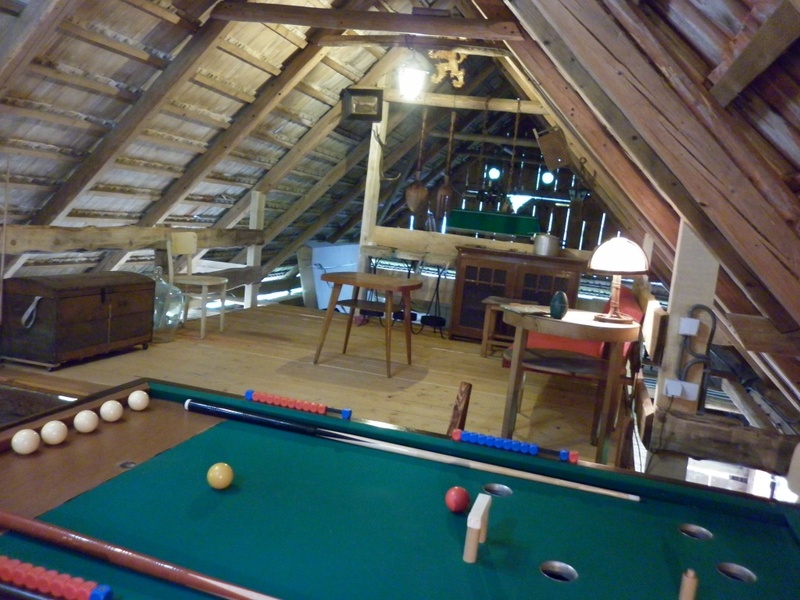 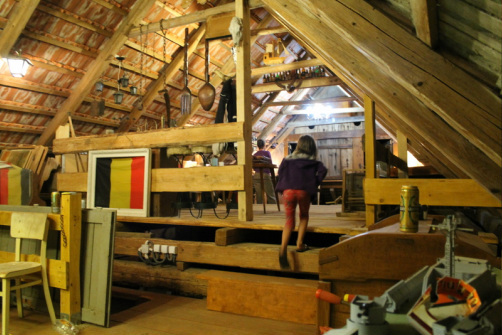 On the first floor of the shed is made a playground for the adults, with two pool tables. 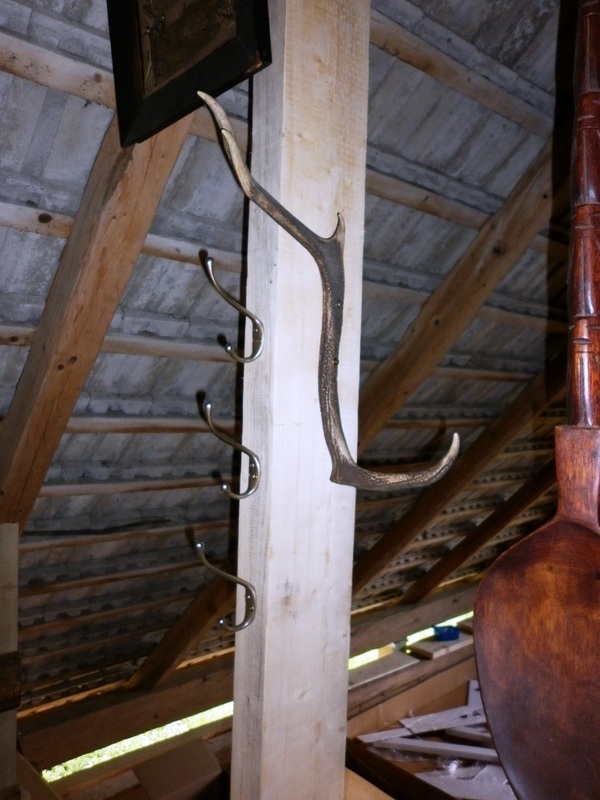 Old tools and other decorative things are hanging on the walls and roof. 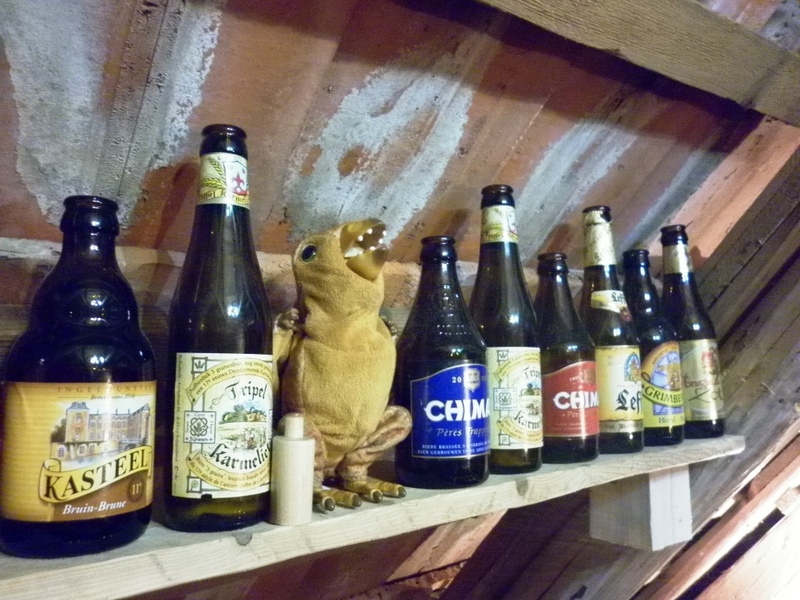 Toys are hidden in the cases. 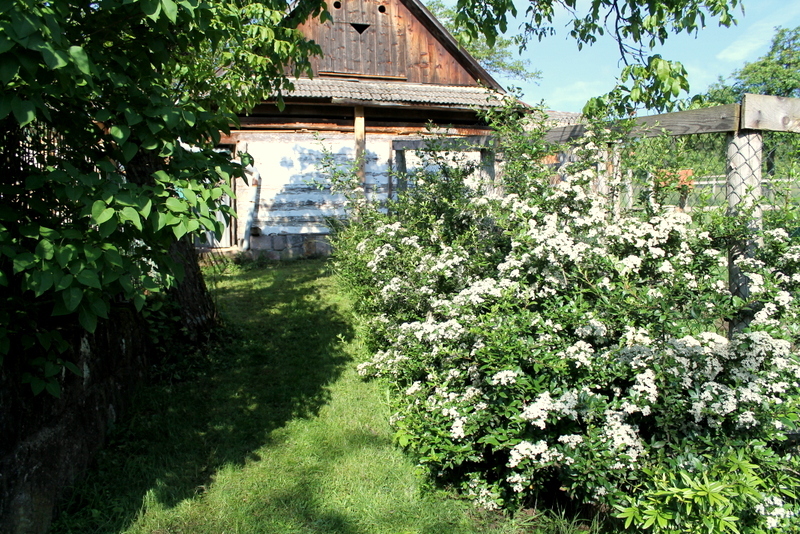 Have a look at the pictures and click to enlarge.